Well, its all started again, the daunting but enjoyable task of working on the second in the series of the Birding Frontiers seasonal books. We are now starting the Winter edition and fingers crossed it will again be a great seller. There's nothing changed, same author designer and me and same format, a great design and layout by Chris Gaughan of Designwing. I work 4 chapters at a time, so basically I will line draw out all the four chapters, stretch the paper, draw up the 4 chapters and then paint! 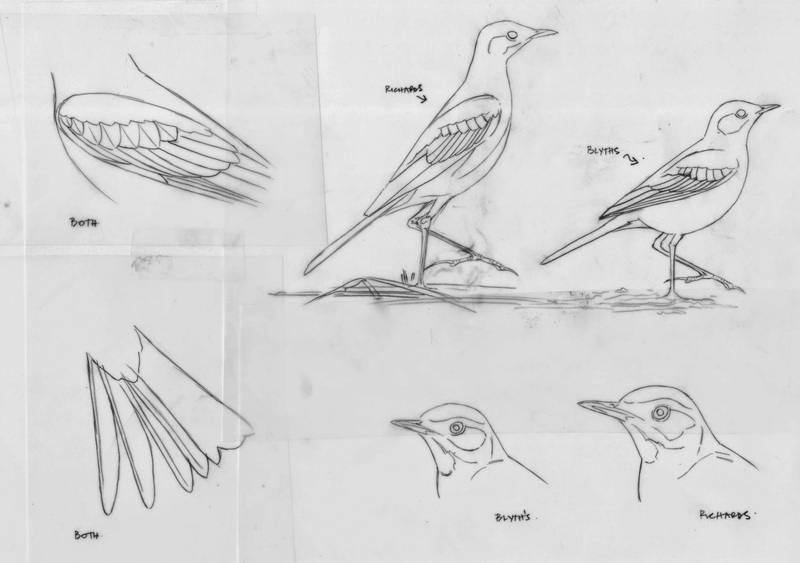 I've included my first draft line drawings of the large pipits which goes to Martin Garner for approval of shape etc! These will be revised and tweaked this weekend, I've stretched the paper and hopefully the first finished pencil lines will hit the paper on Monday! 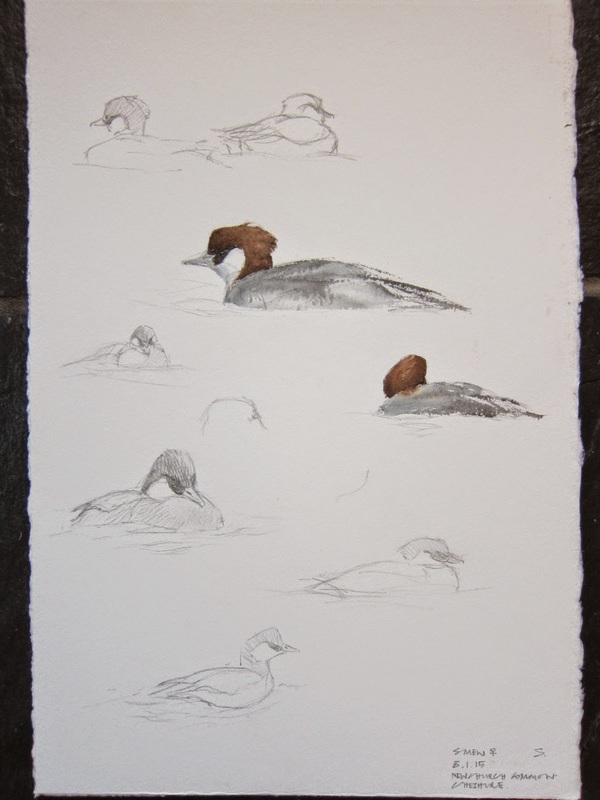 the chance of sketching the Purple Sandpipers was zero as I could hardly stand up, a successful trip seeing two birds, moving onto Inner Marsh Farm RSPB I connected with a superb ringtail Hen Harrier close to the hide so the two target species were nailed. The bonus birds of the day were two Great White Egrets sheltering in the gale force winds in the long reedy grass, there was also a lovely low sun, one of the birds stayed relatively still for a few minutes allowing me the attached study. Its going to be a busy 2015 with 3 books on the go, firstly after the hugely successful Birding Frontiers Autumn book we are now starting on the Winter version to be hopefully published and released at the next Rutland Bird Fair, also alongside this and in the same series I will be working on a Gulls book dealing with the large gulls. Finally the long awaited Birds of Spurn by Andy Roadhouse will be the final publication, I will be doing the cover of that and an internal spread. 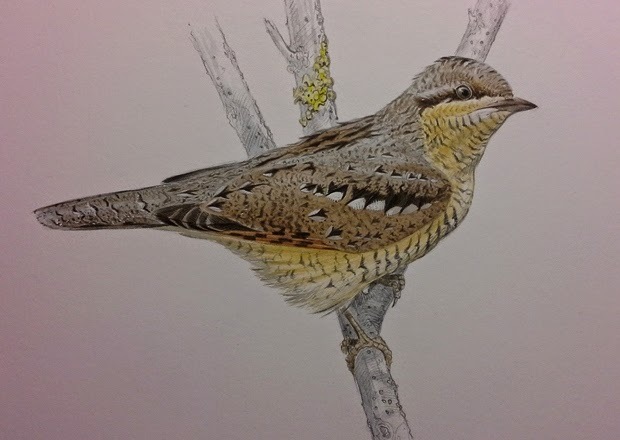 I will be starting the Birding Frontiers Winter book next week and will be doing weekly updates on the blog, the blog has been neglected but I have cut back on work this year to spend more time updating it on a weekly basis! 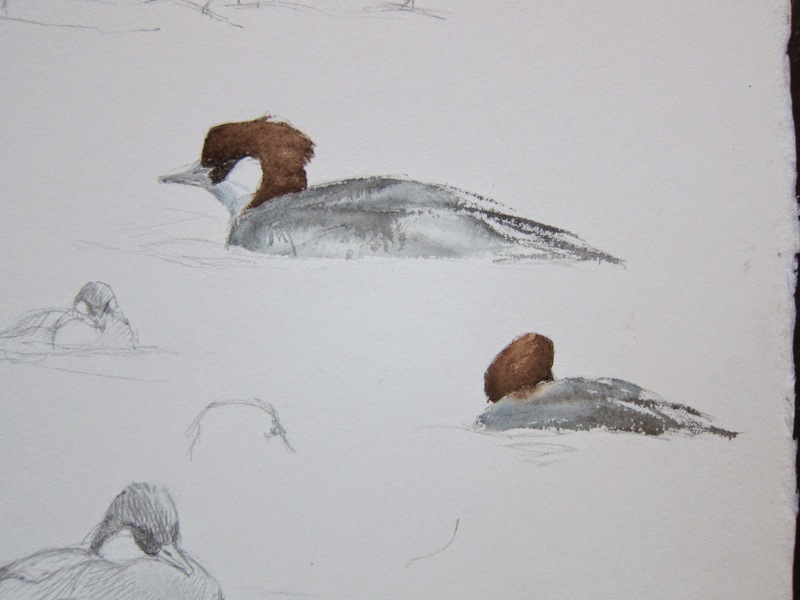 The study sheet below was undertaken yesterday at Newchurch Common in Cheshire of a Smew.